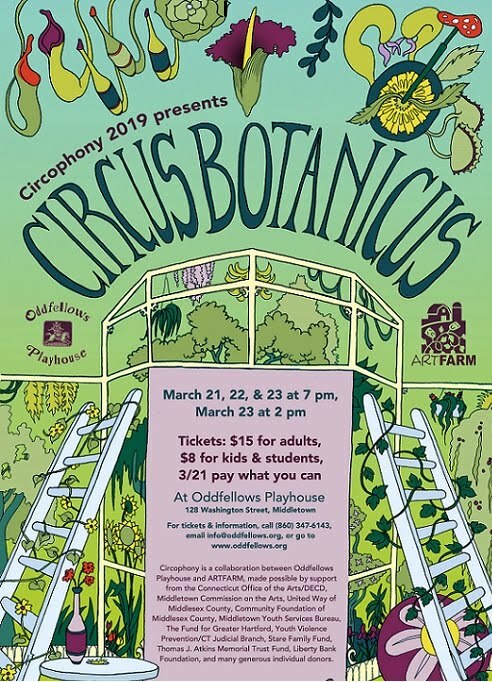 Circophony Teen Circus presents Circus Botanicus, an original circus-theater production based on the comic secret lives of the plant world. Performances will be on March 21 and 22 at 7 pm, and March 23 at 2 pm and 7 pm. Featuring juggling, acrobatics, contortion, balancing, unicycling and clowning, Circus Botanicus is the result of months of training and creation by Circophony, a Teen Circus company for ages 12 – 20, and will be a treat for kids and adults. The Company is directed by professional circus performer and instructor Allison McDermott, with guest direction by contortionist and acrobat Naja Muller. Circophony is a collaboration between Oddfellows Playhouse and ARTFARM. 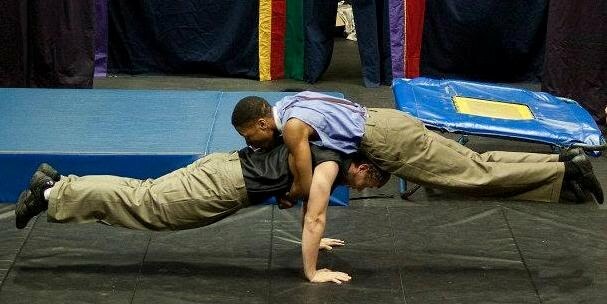 Since 2003 Circophony has offered teenagers circus training and performance opportunities in a fun but rigorous environment. Tickets for Circus Botanicus are $15 for adults, $8 for students and kids, or $35 per family. Thursday, March 21 is a Pay-What–You-Can Preview. All performances take place at Oddfellows Playhouse, 128 Washington Street, Midletown. For more information, go to www.oddfellows.org, call (860) 347-6143, or email info@oddfellows.org.